We sure think we have the finest customer service team in the industry. But with a customer satisfaction rating of 98.5% and an on-time delivery rating of over 97.5%, we’re confident that we’re not the only ones who think they’re fantastic. With a genuine desire to serve, our customer service representatives are passionate about understanding and resolving your needs in a prompt, thorough manner; they are competent with highly technical aerospace and military spec orders; and they are bilingual. They can be reached Monday through Friday from 8:00 a.m. to 7:30 p.m. (Eastern Time). Our top-notch logistics and nimble CRM systems are key tenets of our constant pursuit for operational excellence and continuous improvement. And if our materials should happen to not meet your satisfaction, our quality team will promptly resolve the issue.  We are centrally located with warehouses throughout the United States and Mexico, we serve all the major rubber markets, and we are ISO 9001:2015 accredited and a verified member of the NACD Responsible Distribution. Our customers consist of OEMs, fabricators, and custom mixers throughout North America.